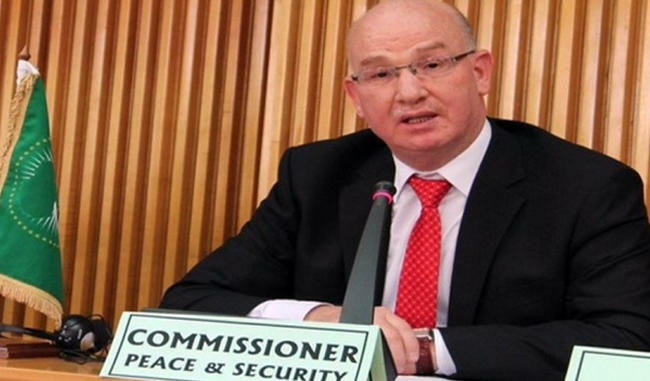 ALGERIAN SMAIL CHERGUI RE-ELECTED AFRICAN UNION COMMISSIONER FOR PEACE AND SECURITY. ADDIS ABABA -Algerian diplomat Smail Chergui has been re-elected on 30th January 2017, Commissioner for Peace and Security of the African Union (AU) during the works of the 28th AU Summit in Addis Ababa. Chergui, who has held this position since 2013, has been re-elected for a new four-year term. Chergui, who was competing with Nigerian Fatima Kyari Mohammed, was elected after obtaining 36 votes. In a statement to the national press, Chergui said that his re-election "is a victory for Algeria and recognition for Algeria's leading role in peace and security throughout the continent." "It is a major victory for the Algerian diplomacy at a time as the African continent needs, more than ever, peace, security and stability," he stressed. The Algerian diplomat also expressed gratitude to President of the Republic Abdelaziz Bouteflika for the trust put in him. "It is a great day for Algeria and for Algerian diplomacy," he said. Chergui said, however, that "indeed the settlement of situations in conflict areas is difficult, "adding that "for this reason, the priority will be given to prevention." In this regard, he underlined that the fight against terrorism and radicalization are among AU's top priorities.